my heart to the Lord when i was twelve but i didn’t really start to foster my relationship with Him until i was in high school. i became really involved in young life and had some key people teach me what it was to live a life in pursuit of the lord and what he had for me. the lord used the next few years to begin shaping me into who He wanted me to be and helping me deal with a lot of baggage i still had from growing up. when i came to evangel i gained a family [a few of them, really] who have showed me what it means to take your life, and all that it entails, and allow the Lord to use it for something great. 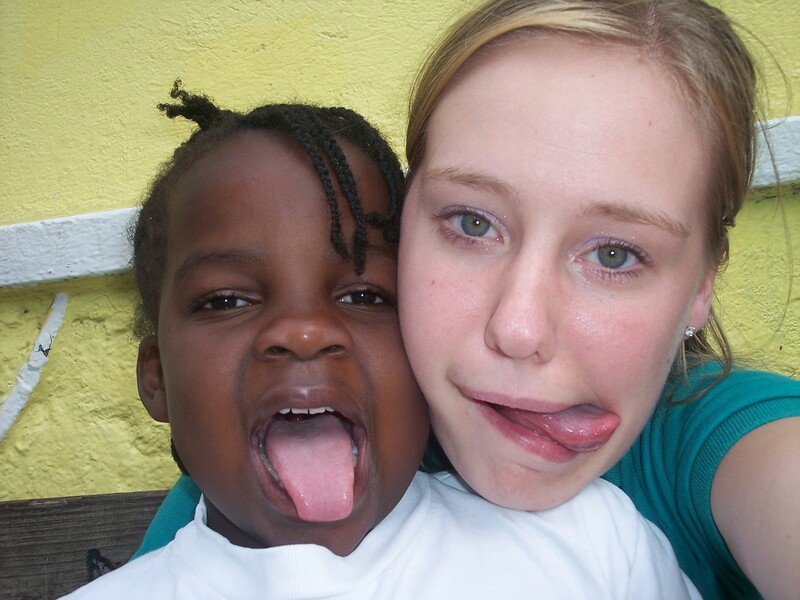 my freshman year of college i had the great privilege of going on a spring break missions trip to jamaica. we stayed at an orphanage and brought something like a VBS to them for the week. we also did service projects such as painting and yard work. during that week the Lord really opened my eyes up to a bigger world outside of myself. i fell in love with those kids and could not shake the things i saw. i was asked to lead that same trip the next year. again, the Lord really did a work in me and continued to break my heart for His people. while my two trips to jamaica were definitely formative i never had an ‘a ha’ moment where i realized this might be what the Lord would have me do. my junior year my best friend alesha and i decided we wanted to lead a spring break trip to greece. i’ll admit, my motives were not entirely pure when i first signed up to do this. i knew i wanted to lead a trip again and i thought, why not greece. it seems pretty there. i had no idea what i was getting myself in to! so, we went to athens and had an incredible time. we met so many great people and have continued to build relationships with them. i love greece and definitely left a part of my heart there. there is just something about the culture and the people that makes me feel at home. i hope to be back there someday. so, fast forward to the world race. like i said in my bio, i came across it last spring. it sounded like a neat idea and it was definitely something that would fit me. however, it seemed a little bit crazy. i tried to put it out of my mind and i just couldn’t. after a lot of prayer i thought, “why not? i’m a crazy person.” so, i sent in the application and watched the rest unfold [rather quickly, i must say] and here i am. i don’t know that i was ever “called” to this trip or missions at all for that matter. i feel like i am called to people who don’t know about Jesus. i’m called to give of myself and my resources, . the world race is the avenue, for this next season of my life, that the Lord is allowing me to give. i was at a conference over new years eve and someone was talking about isaiah and how the lord never really ‘called’ him. isaiah recognized a need and volunteered to go. so, that’s kind of how i feel. i don’t believe there is anything more important than being the hands and feet of Jesus and leading others into a relationship with Him. so, that’s what i hope to do. on the world race and for the rest of my life; wherever i’m at.